A vicious attack on a Jewish school in California spawns an international chase for the criminals. FBI agent Lara Edmond teams up again with Mossad assassin Uri Levin as the scope of the terror widens. Dr. Jack Winnick is Professor Emeritus of Chemical Engineering at the Georgia Institute of Technology. He has also taught at the University of California, Berkeley and UCLA. His career includes work for NASA, the State Department and many years in the chemical, nuclear and aerospace industries. He holds seven U.S. patents in the area of electrochemical processes for air and water pollution control. At NASA he aided in the development of life-support equipment on the Shuttle, Skylab and Space Station. Jack has been a Middle East scholar for over forty years, traveling to the area for the State Department for the purpose of technology transfer to the Arab nations, and cooperation between Israel and Egypt. He has been a strong advocate for the State of Israel for over forty years. He is a member of AIPAC, Zionists of America, American Friends of Magen David Adom, and other similar organizations. His writings include over two hundred technical papers, and three technical books; including an internationally-used text on chemical engineering thermodynamics (Wiley, 1996). 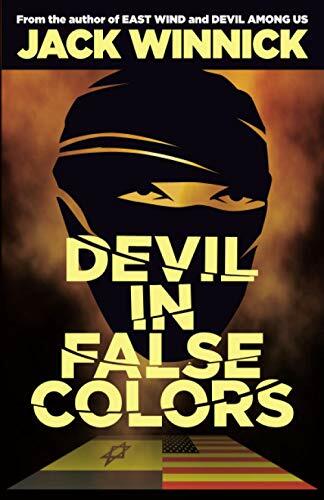 Devil in False Colors is his third novel. He lives in the Los Angeles area.